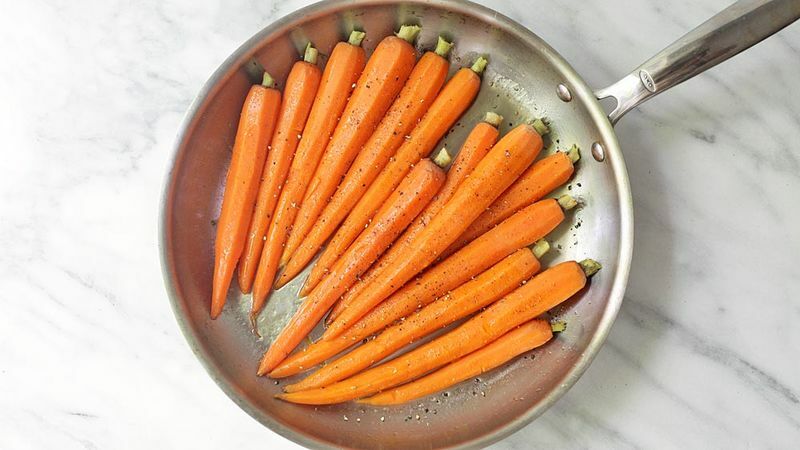 Place the carrots in a large, deep skillet and add in 1/2” of water. Cover and heat over medium-high heat until the carrots are just barely fork tender (do not overcook), about 10 minutes. Drain carrots, and return them to the skillet. Return the skillet to medium heat. Add in the coconut oil and honey and gently toss carrots to coat. Season to taste with salt and pepper. Serve immediately. Whole carrots look beautiful on a platter, but if you’d rather serve bite-size pieces, just slice your carrots diagonally into coins before boiling them. Then proceed with the rest of the recipe as written.